Welcome to Cynergy Color Bar, the finest hair design & color services, conveniently located in Wake Forest, North Carolina. We are proud to be a Green Circles Salon. Being environmentally friendly keeps our clients AND our planet beautiful! Cynergy Color Bar offers exclusive high-end services in a welcoming neighborhood environment, giving you a quiet and calm escape to relax and feel pampered. The owner and stylist, Cynthia Perry, focuses exclusively on hair services because she believes hair is the most important thing you wear – it defines your personal style. Discover a custom look that suits your unique features. Your hair is the beginning of your style and is the ultimate fashion accessory. Sit back, relax, and let Cyndy create a look and feel that compliments your lifestyle, enhances your face shape, eye color, skin tone and tells the world who you are. The results? Fashion-forward appeal with everyday manageability. We strive to make an environment that is comfortable and inviting to all while transforming you so that your inner beauty shines outward! You already are an amazing person we just want to help you feel that way on a daily basis! Not only do we love our craft through creativity, we love our community, our planet and care about our eco-foot print. We recognize that our industry is traditionally wasteful and toxic. At Cynergy Color Bar we do whatever we can to reduce our waste, have access to natural, non toxic products and recycle everything we can and continue to look for ways to make our business more sustainable while enabling us to do an outstanding job at what we love most! We are a Green Circles Salons member, which means we recycle color tubes, hair foils, light bulbs, paper, plastic, tin, metals, electronics, batteries and more! They also help us to safely dispose of chemical waste (hair color) so that it doesn't go down the drain. Please be aware that we charge a $2 Sustainable Stewardship Fee to all clients. We carry an all natural color infused with argan oil, black pearl powder, acai berry and aloe vera. We save and donate all our hair. Green Circles has hired a team of 16 scientist that is researching ways of repourposing our hair to benifit us. We use biodegradable, non toxic, natural cleaning products to keep our salon environment clean. Our interior furniture and walls were made from reclaimed tobacco barn wood from a farmer in Clayton, our stylist chairs and cabinets were reporpused to reduce waste. We have reperposed everything we could get our hands on. Every time you purchase services with Cynergy Color Bar, we give you the option to round your purchase amount up to the nearest dollar and donate the difference to Mercy for America's Children. Thanks to our clients, this program can change the world for the better. THANK YOU for choosing us to pamper and beautify you!! If your having trouble styling or dealing with your hair please allow us to prescribe you an "at home regement" or book a lesson. Please feel free to contact us with any ideas of how to become a better salon. We feel like Wake Forest needs a little "twist!" Feel free to post and chatter about us everywhere on social media! Check in on Facebook or rate us on Google or Yelp and get 10% off your visit! Get a free conditioning treatment for referral on Facebook, Google or Yelp ! The GREATEST compliment you can honor us with is telling your friends and family what a beautiful impact we are having on you, the community and the environment. Refer a guest who gets color and cut and get a 20% gift certificate/refer a guest for a haircut and get a 10% off gift certificate to use any tme you choose! Please take some business cards at the reception desk and be sure your name is signed on the referral line. Ask them to turn that card in when they arrive for their appointment and we will send you your gift certificate! Gift cards are available in any amount! Since we are a Green Circle Salon, please be aware that we charge a $2 Sustainable Stewardship Fee to all clients. Thank you for helping us to make a difference! Trial appointments	are 30% off. We understand that sometimes schedules adjustments are necessary; Therefore, we respectfully request at least 24 hours notice for cancellations. Clients giving less than 24 hour notice or not showing up at all will result in a charge equal to 50% of the reserved service amount. We only accept gratuity in the form of cash, personal check, venmo, or cash app. We appreciate the gratitude you show us through giving. I would like to explain a bit more about the fantasy color "rage" that is sweeping Instagram and YouTube. The photographers and stylist do an exceptional job of making it look like an easy, quick and lasting process when in fact it's not. It's generally never less then 3 color step process (usually more) with blow dries in between steps, so expect 3-6 hours for the entire process. Luckily we love doing them because the outcome is so beautiful! We also use a bond re-builder in our processes to keep the integrity of the hair and help add longevity to the color (an extra charge). What they don't show everyone is what these colors look like at 1,2,3 & 4 weeks later. These colors tend to look different from day to day. We at Cynergy believe that if a client is going to spend that many hours and that much money on these colors that it should last longer then they do. But... the industry is still working on the science behind a truly permanent color in these bright, pastel, metallic and neon color levels. In our experience, the average length of time for any fantasy brand color is generally around 4 weeks, which can be extended if the client makes some lifestyle changes (listed below). The major game players in the fantasy color side of our industry are Pulp Riot and Guy Tang, and we carry both of those product lines. Pulp Riot is a direct dye. Guy Tang's new color line (semi-permanent, demi-permanent and permanent) reacts differently in each individuals hair. In our experience, neither last as long as we would like! Generally the lighter the pastel the harder to keep the color true because there are so little color pigments deposited. Going darker and less vibrant would most likely last longer, but needs different care at home. Our clients who have followed these steps below tend to have the best outcome with keeping their fantasy colors, but unfortunately these colors haven't been made to last just yet. DO NOT shampoo within the first 24 hours and only shampoo a couple times a week after that. Dry shampoo will become your best friend. 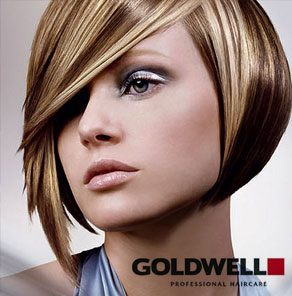 DO use a color treated or even better color depositing shampoo and conditioner. DO NOT use shampoo with sulfate or styling products with alcohol in them. DO always rinse with cold water. If you skip any other step...don't skip this one! DO NOT use high heat on your heating tools and minimal heat styling if possible and be sure to use a heat protectant oil if you do use heat. AVOID prolonged exposure to the sun, if you are in the sun wear a hat or use a UV protectant spray on your hair. DO take hair growth vitamins with biotin and sea extracts in it, it will repair and keep your hair healthy from the inside out. DO plan on refreshing your color with toners on a regular basis.